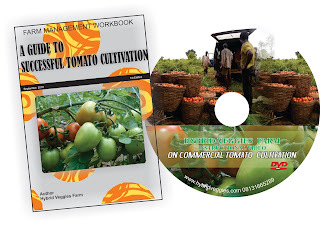 Due to demand from some of our clients who have time constrain in going for a field training or who could not afford a consultancy or retainership fee for a seasoned horticulturist, we have been able to come up with an E-Book and instructional video on commercial tomato cultivation in an open space. These combined materials are meant for both newbies farmers and experience farmers as it is often said “knowledge is power”. This workbook is meant to serve as a guide to anybody interested in horticultural production. It was prepared base on the local condition around the author’s farming environment which factors in the climatic condition, weather, topography, soil etc. Therefore slight modification might be needed by those who want to use this workbook in their local environment which has characteristics of the above mentioned conditions different from what is obtainable in South-West Nigeria. 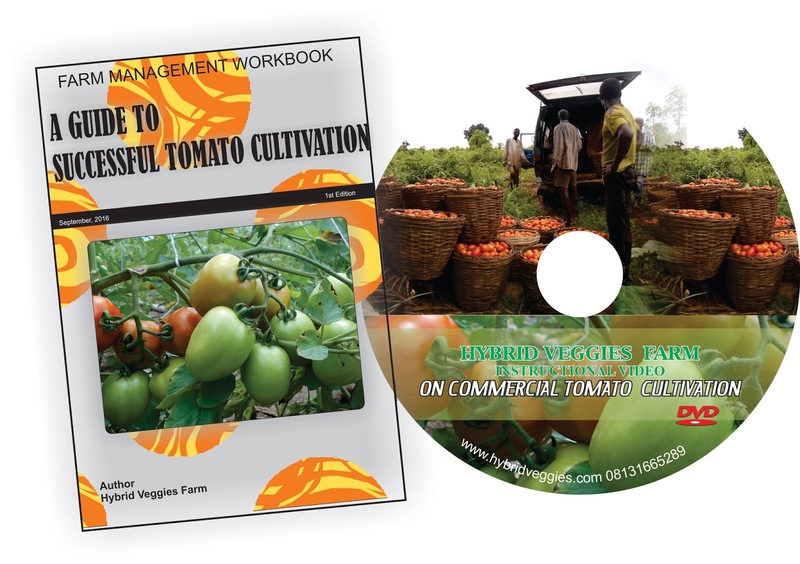 The workbook is meant to guide those interested in commercial tomato cultivation in an open field during the wet season though same information can be used for dry season cultivation but with slight modification which would be highlighted where necessary. Aside the production technique require by the reader, which is perhaps the reason for purchasing this book, the workbook also takes the farmer through biological, physical, financial and family aspects of farm business which cannot be separated from the successful outcome of the farming business. The workbook is majorly practical based with ACCOMPANY INSTRUCTIONAL VIDEO for those who might be interested but without the video; the farmer would just be fine digesting this material. 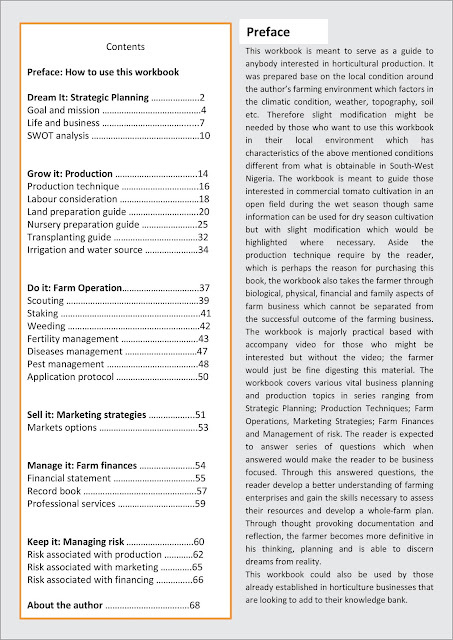 The workbook covers various vital business planning and production topics in series ranging from Strategic Planning; Production Techniques; Farm Operations, Marketing Strategies; Farm Finances and Management of risk. The reader is expected to answer series of questions which when answered would make the reader to be business focused. Through this answered questions, the reader develop a better understanding of farming enterprises and gain the skills necessary to assess their resources and develop a whole-farm plan. Through thought provoking documentation and reflection, the farmer becomes more definitive in his thinking, planning and is able to discern dreams from reality. This workbook could also be used by those already established in horticulture businesses that are looking to add to their knowledge bank. After placing your order, SMS or Email your payment information (Material title, Name on teller, payment teller number, and your e-mail address, your mailing (postal) address) E.g. To +2349090312798 or Whatapp +23408131665289 , hybridveggies@gmail.com Once your payment reflects. The E-book will be mailed to you immediately while the Instructional video would be Air-mailed to the postal address given.